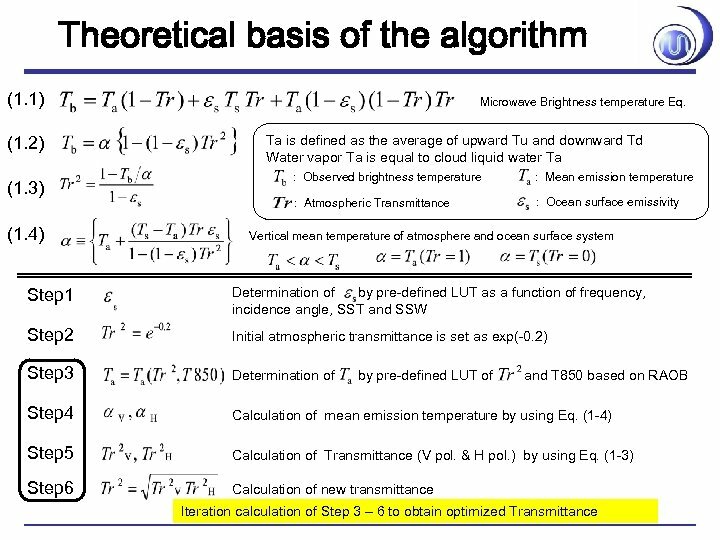 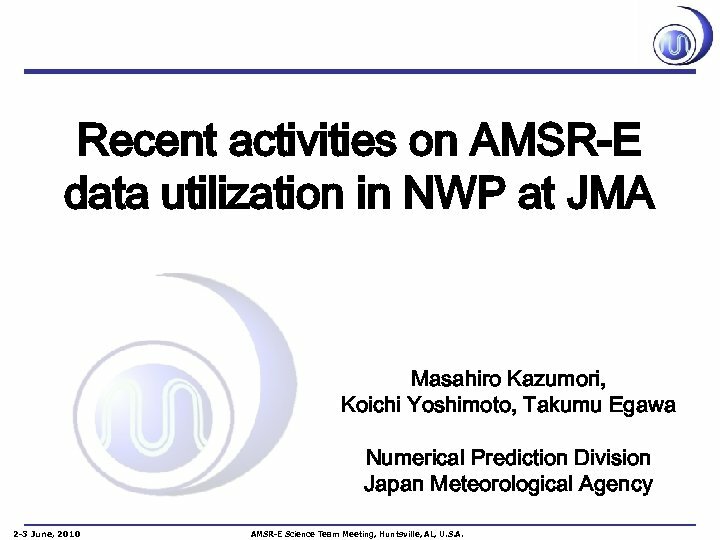 Recent activities on AMSR-E data utilization in NWP at JMA Masahiro Kazumori, Koichi Yoshimoto, Takumu Egawa Numerical Prediction Division Japan Meteorological Agency 2 -3 June, 2010 AMSR-E Science Team Meeting, Huntsville, AL, U. S. A. 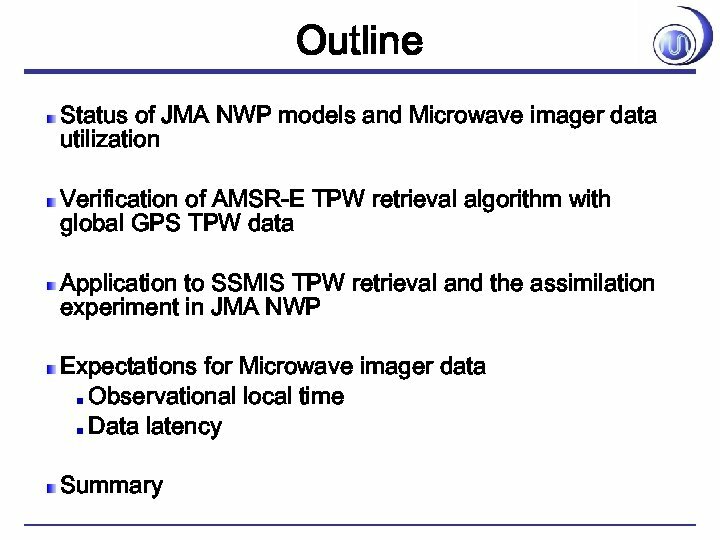 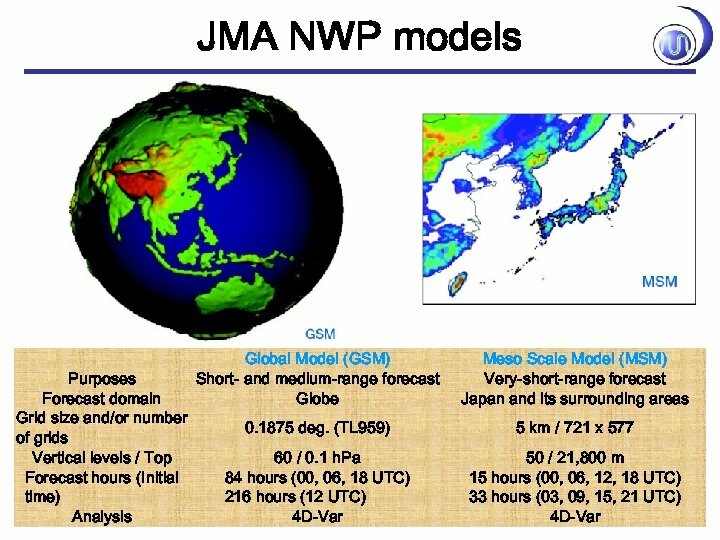 Recent update in MSM Ground based GPS TPW data in Japan was introduced in operational JMA MSM DA system in Oct. 2009. 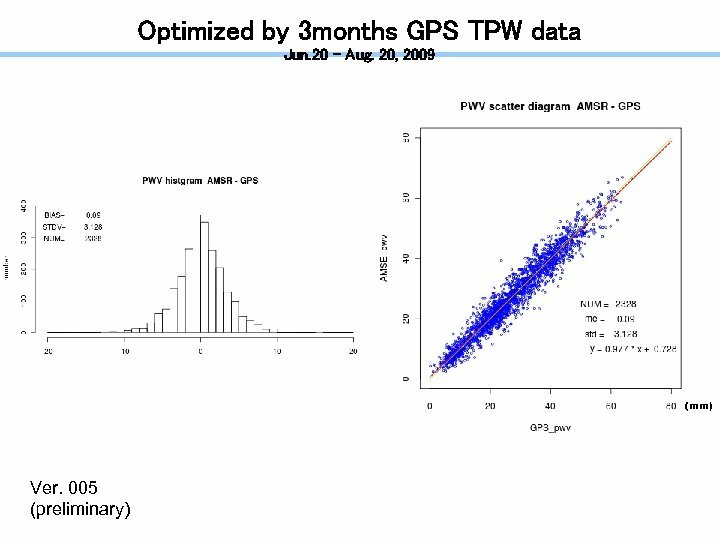 The GPS data provide accurate and periodic TPW information over land. 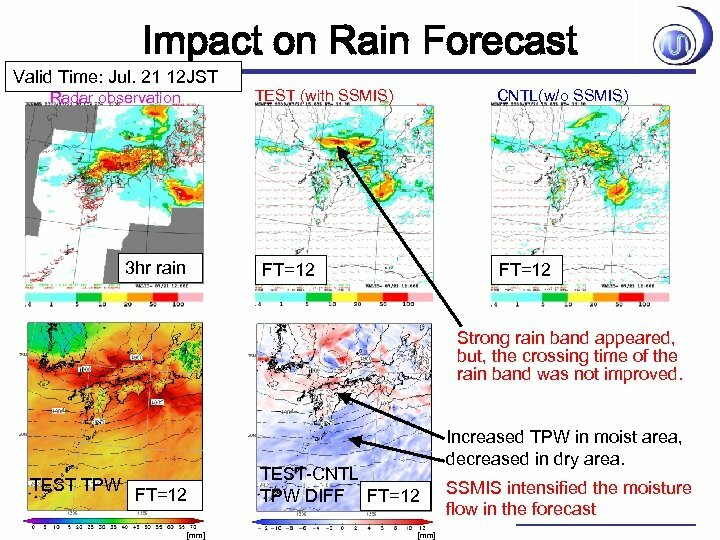 Improvements of rain prediction were confirmed in heavy rain cases. 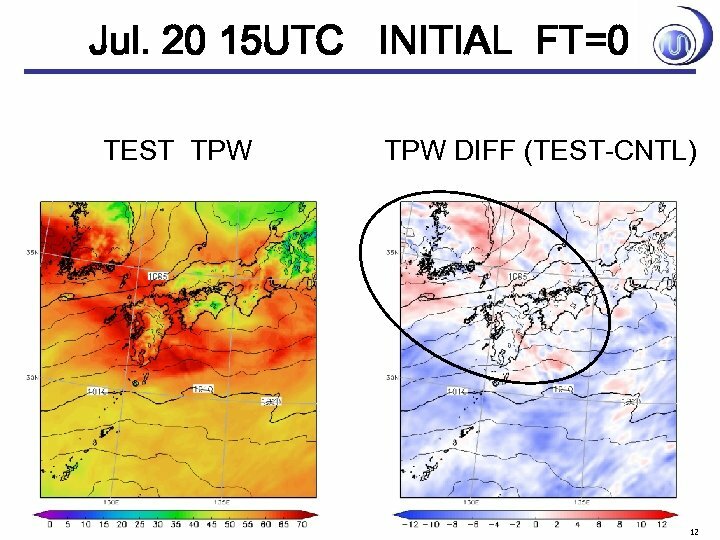 Atmospheric moisture information is essential to produce better rain forecast. 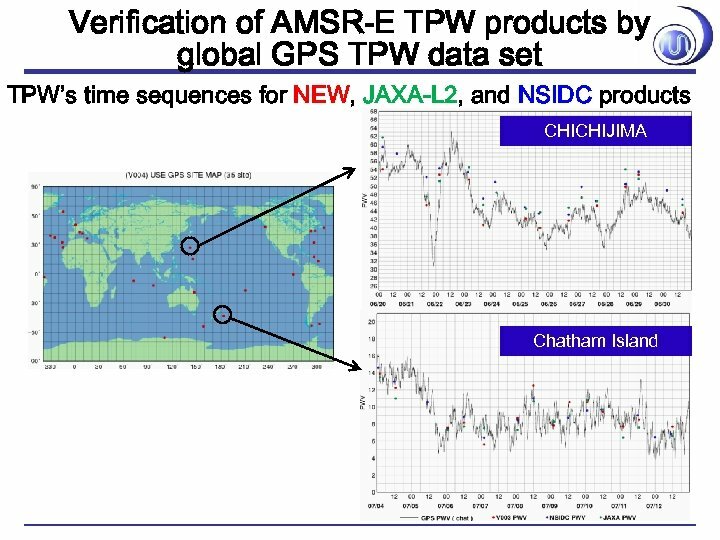 Also global GPW TPW data set are available in JMA for verifications of NWP model’s TPW and satellite TPW products. 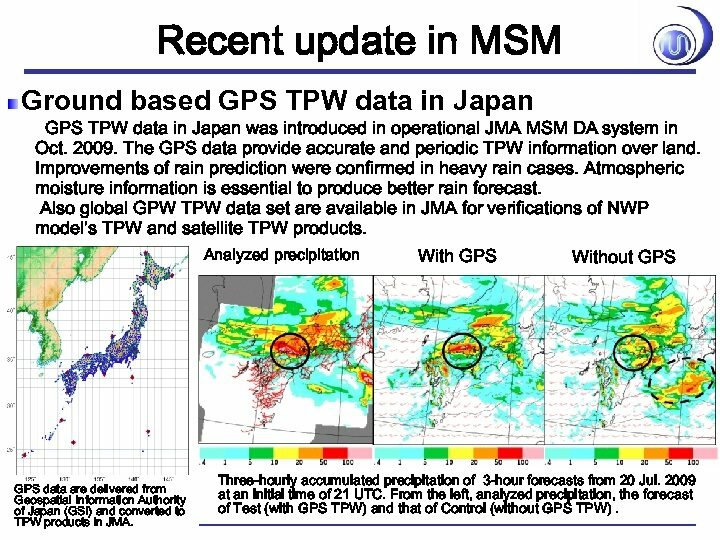 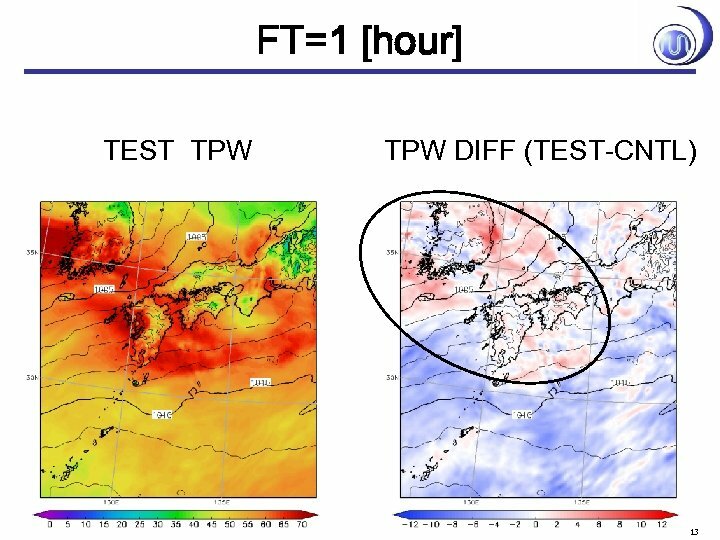 Analyzed precipitation GPS data are delivered from Geospatial Information Authority of Japan (GSI) and converted to TPW products in JMA. 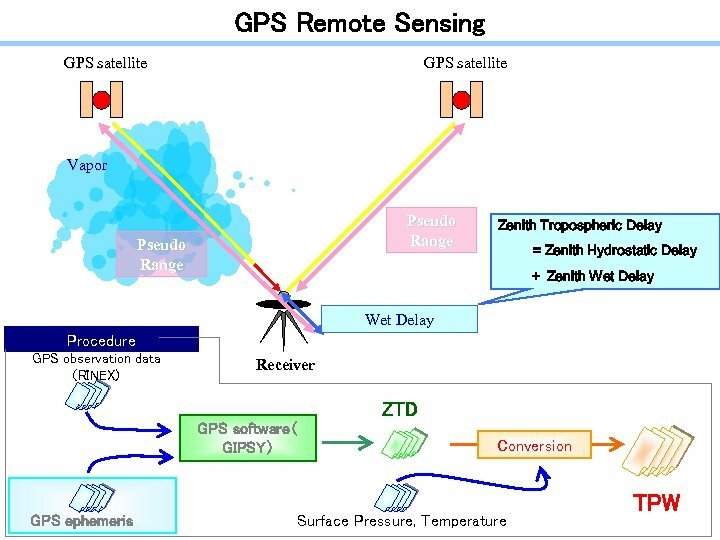 With GPS Without GPS Three-hourly accumulated precipitation of 3 -hour forecasts from 20 Jul. 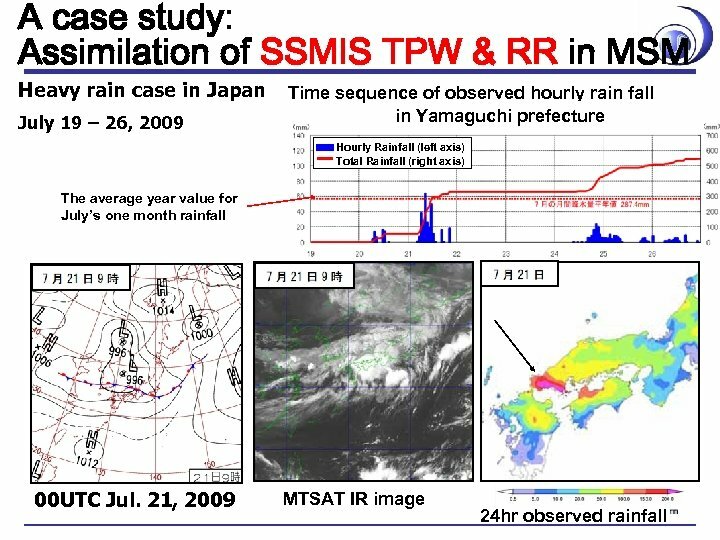 2009 at an initial time of 21 UTC. From the left, analyzed precipitation, the forecast of Test (with GPS TPW) and that of Control (without GPS TPW). 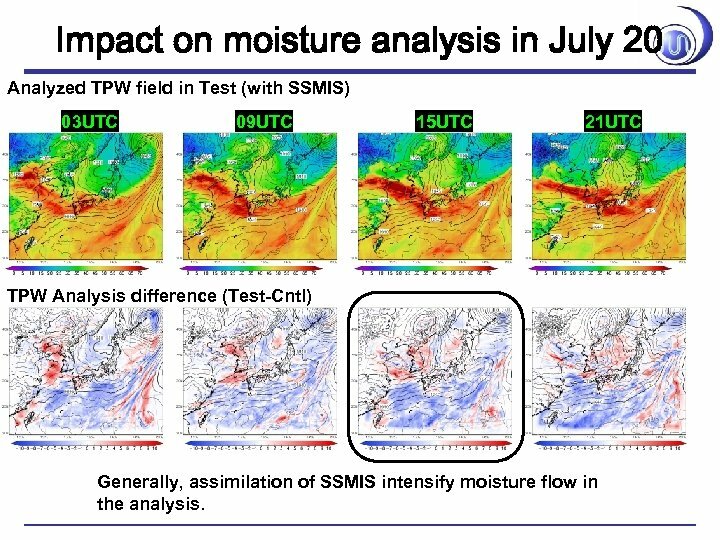 Impact on moisture analysis in July 20 Analyzed TPW field in Test (with SSMIS) 03 UTC 09 UTC 15 UTC 21 UTC TPW Analysis difference (Test-Cntl) Generally, assimilation of SSMIS intensify moisture flow in the analysis. 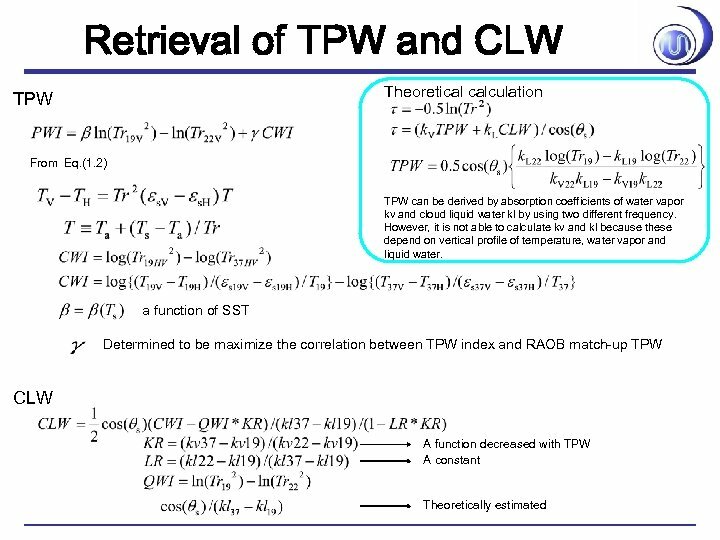 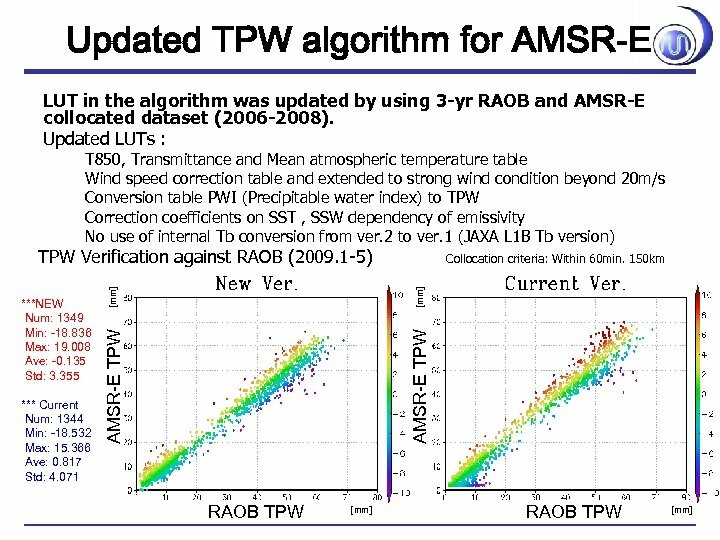 Summary TPW data from MW-Imager play important role for accurate rain forecasts in MSM. 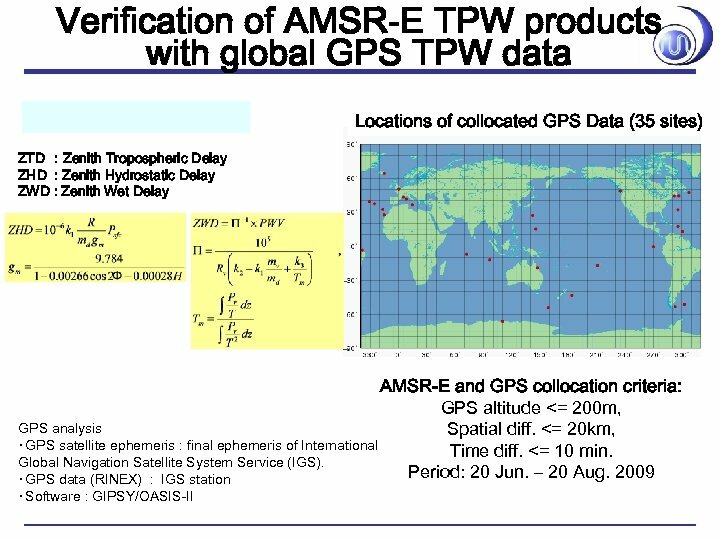 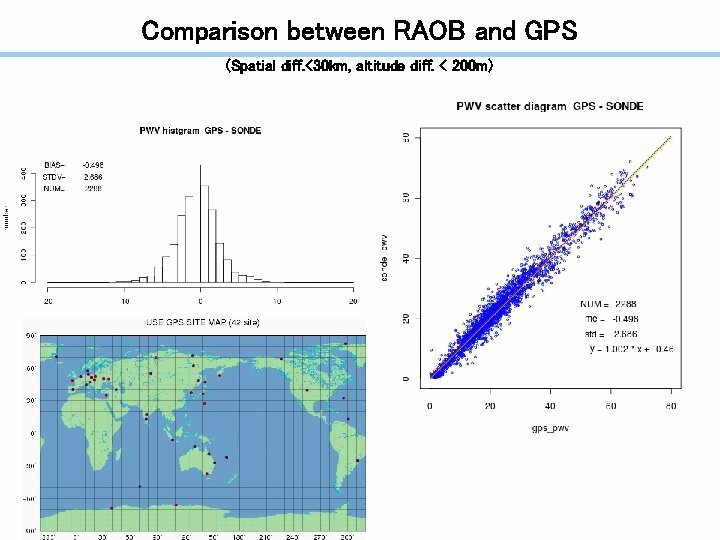 TPW retrieval algorithm was verified with ground based GPS TPW data. 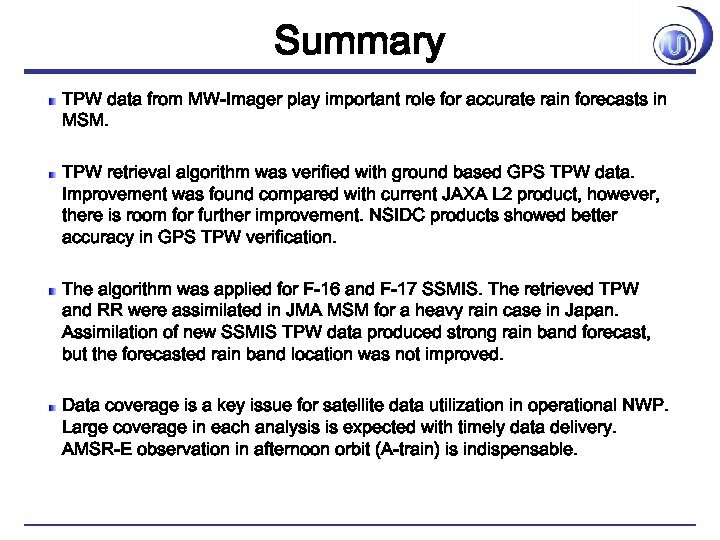 Improvement was found compared with current JAXA L 2 product, however, there is room for further improvement. 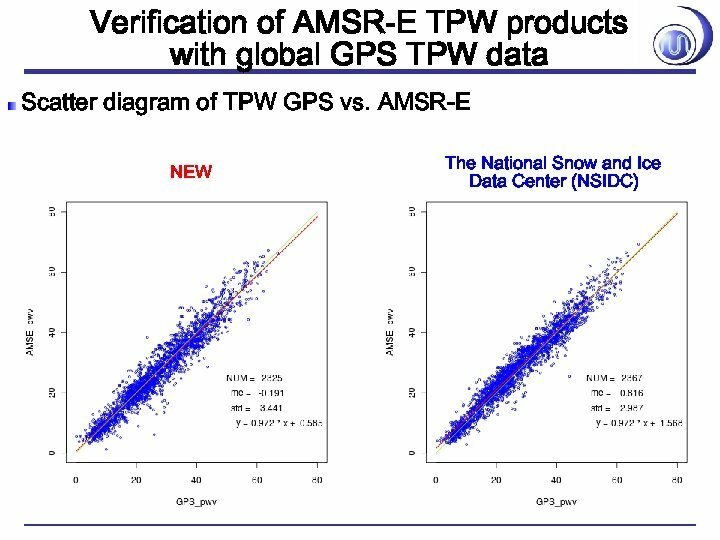 NSIDC products showed better accuracy in GPS TPW verification. 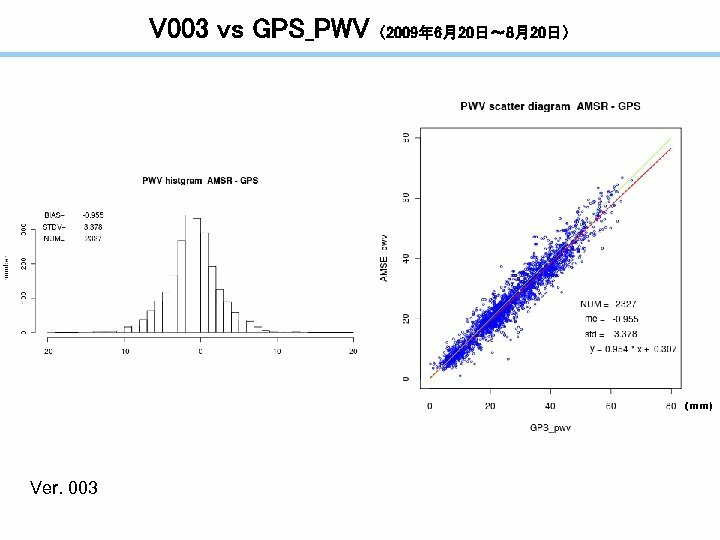 The algorithm was applied for F-16 and F-17 SSMIS. 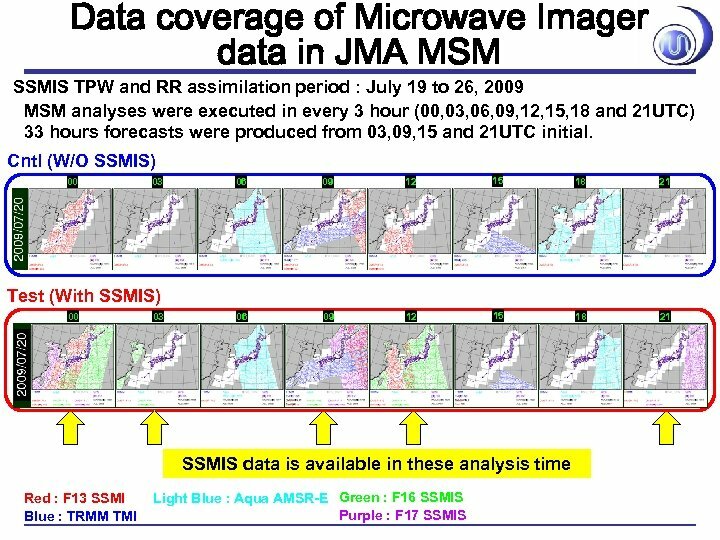 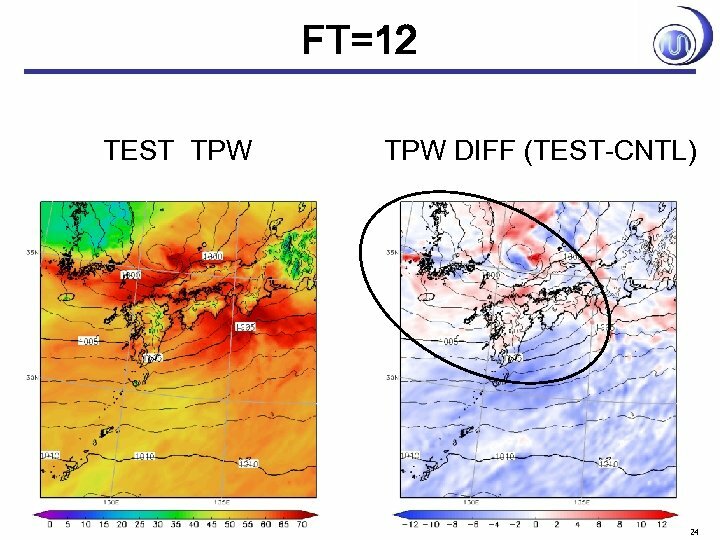 The retrieved TPW and RR were assimilated in JMA MSM for a heavy rain case in Japan. 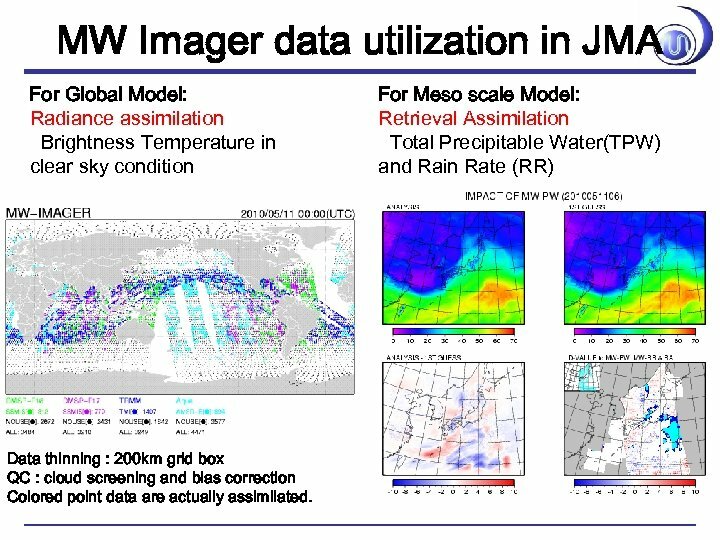 Assimilation of new SSMIS TPW data produced strong rain band forecast, but the forecasted rain band location was not improved. 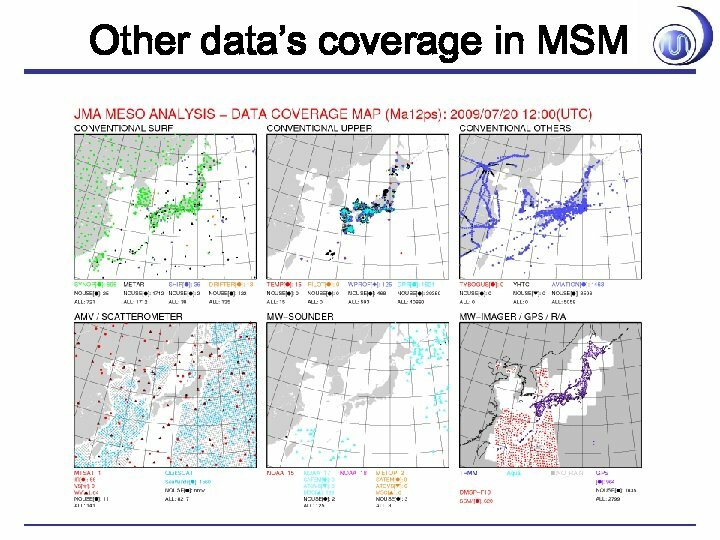 Data coverage is a key issue for satellite data utilization in operational NWP. 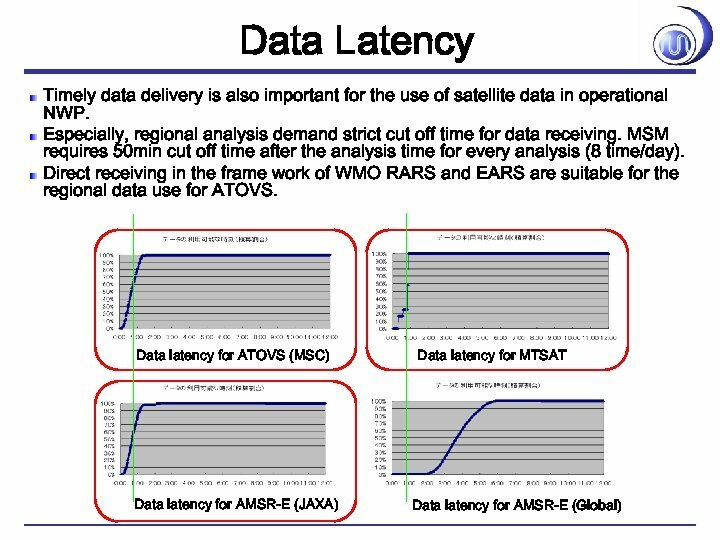 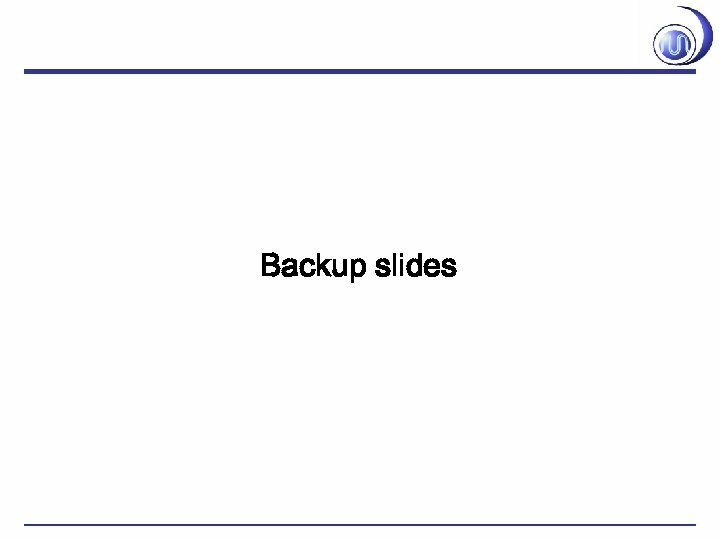 Large coverage in each analysis is expected with timely data delivery. 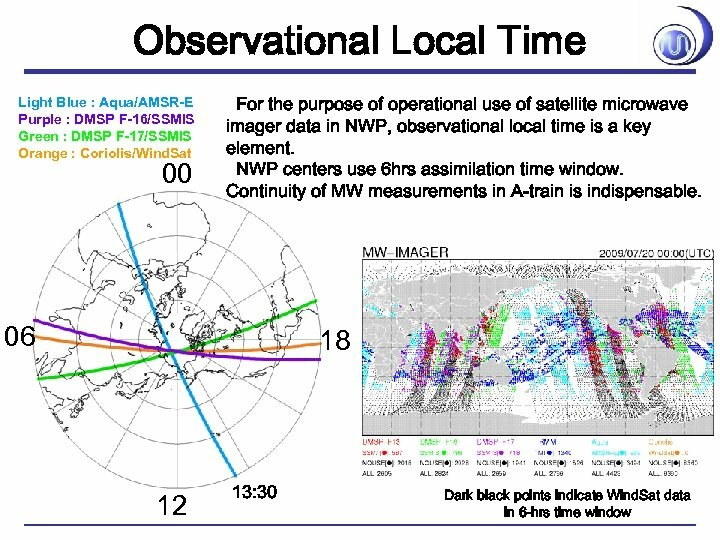 AMSR-E observation in afternoon orbit (A-train) is indispensable.